Each year there are a number of star NHL players who we would love to see more of but can’t, can’t because they are stuck on lousy teams. Depending on the player, some haven’t even had the chance to leave their struggling city, while others have chosen to stick around in hopes their franchise turns it around. There are a number of different reasons why these players continue to play for bad teams but few of us hockey fans (except those rooting for their current squads) wouldn’t love the following five players to be traded to contenders. In recent seasons the Buffalo Sabres have taken a turn for the worse. It should be noted that only a few seasons ago they were a playoff team. They made the dance in 2010-11 with a solid 96 points and in 2011-12 they missed the playoffs by just three points, finishing with 89. Over the last couple of years though star players like Thomas Vanek and Jason Pominville have been traded away and the Sabres have fallen in the standings. Noticeably this season, they have been one of the worst possession teams we’ve seen in recent years. 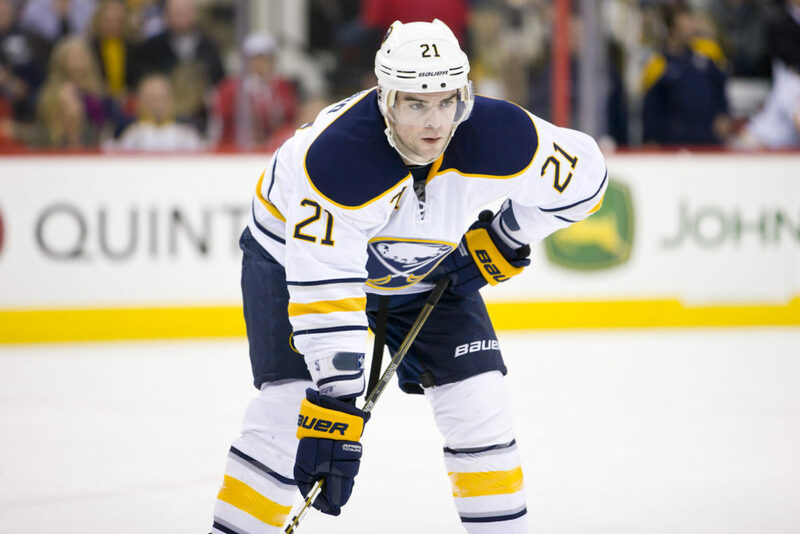 As a pending unrestricted free agent, if Drew Stafford really loves Buffalo, he could easily go back and re-sign during the offseason. Therefore, it makes too much sense for both him and Buffalo to get something in return by this year’s trade deadline. A number of contending teams ought to be interested in the 29-year-old three time 20 goal scorer. Despite playing on a lousy Sabres team, Stafford currently has a respectable 19 points in 33 games and last year he scored 13 even strength goals. Thirteen even strength goals with Buffalo, imagine how many he could score with a guy like Joe Thornton passing him the puck! Jarome Iginla is an interesting case. As for his style of play, well, let’s just say if you don’t like him as a player, you’re crazy. Iginla has been a terrific goal scorer for over a decade and is as tough as nails. He will fight, hit, score goals, he is absolutely awesome to watch. We were all excited when he finally left Calgary for a real chance to win the cup. 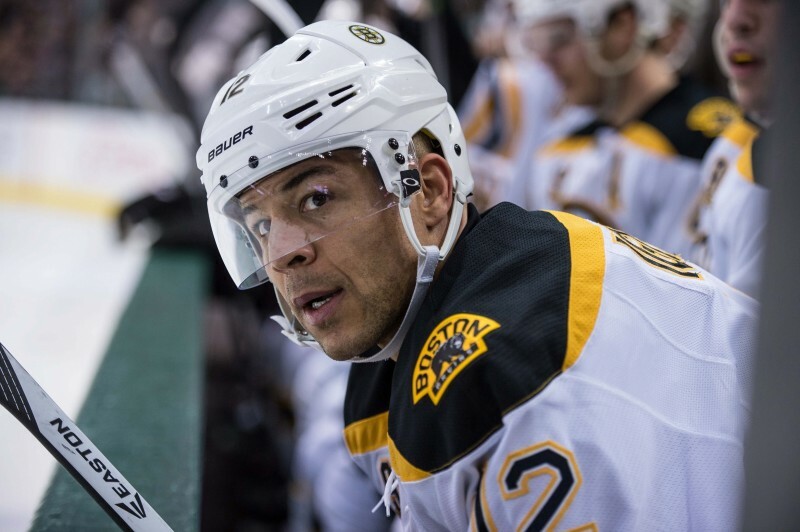 Unfortunately Iginla wasn’t able to get it done with either Pittsburgh or Boston. This offseason, instead of signing with an established contender, he signed a fat three year contract offer to play in Colorado. The Avalanche currently reside at the bottom of the NHL’s most competitive division. With a cap hit of $5.33 million, and two years remaining after this season, it is hard to fathom anyone trading for him, and that’s unfortunate. There is nothing quite like watching Iginla play, especially in the playoffs as he chases that ever elusive first Stanley Cup. 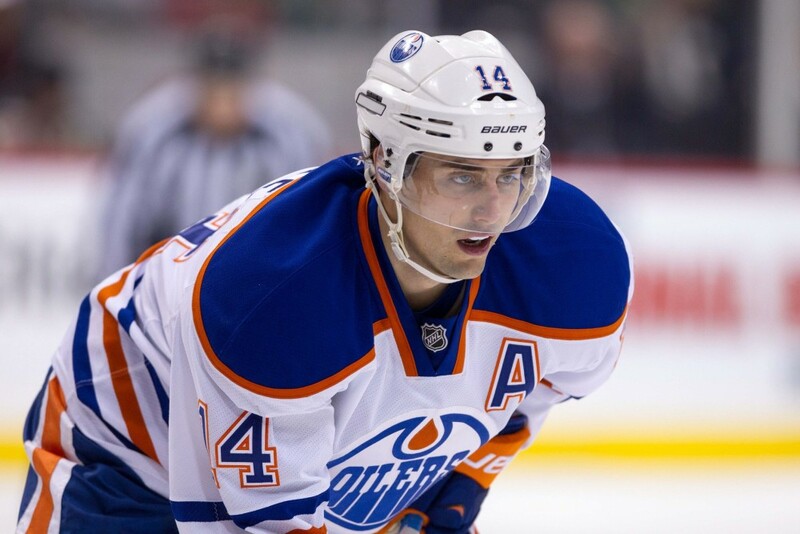 For some bizarre reason, Jordan Eberle wasn’t even on the Oilers top power-play unit in a recent visit to San Jose. Covering the Sharks the past few seasons, I’ve gotten to see Eberle live a number of times. This guy can flat out dangle with the best of them and is an absolute treat to watch with the puck. In the midst of a down year with 20 points in 35 games, Eberle has been a consistent 60 plus point player the last three years. In 2011-12 he broke out with 34 goals and 76 points, followed that up with a lockout shortened 16 goals and 37 points in 48 games (63 point 82 game pace), and scored 28 goals and 65 points a year ago. He is a terrific scorer and would be awesome to watch in the playoffs with a good team. Considering he chose to sign a huge extension to stay in Edmonton, it may be a stretch to say he deserves a better team. However, he is certainly the type of house hold name we fans want to see play in more meaningful games. Like his teammate above, Taylor Hall is one of the most exciting young players to watch. We would all love to watch him in more meaningful games. 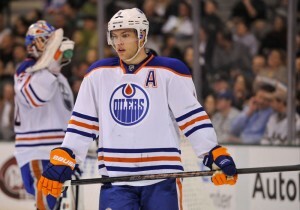 However, also like his teammate, Hall chose to sign a whopper of an extension to stay with Edmonton. Therefore, it is hard to feel bad for either of these young stars and their current losing situation. However, with their youth and elite level skill, perhaps either or both can be moved to teams with cap space. Both players would fetch huge returns. The Oilers could get multiple top notch defense and goaltending prospects back in deals for these two wingers. Perhaps that is the way they should re-start their rebuild. With defense and goaltending prospects in the pipeline and Ryan Nugent-Hopkins and Leon Draisaitl up the middle, maybe a new defense and goaltending first type rebuild won’t take another five years. Like Iginla, Shane Doan has played a long time with one team. 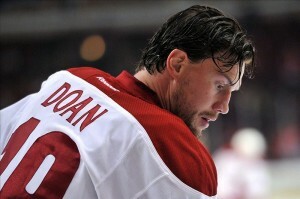 Doan, however, has yet to leave that team and many of us wish he would. Doan is a lot like Iginla in a lot of ways. He scores goals, he fights, he plays a physical game. Iginla was the heart and soul of Calgary, Doan is the heart and soul of the old Winnipeg Jets, turned Phoenix and now Arizona Coyotes franchise. Doan hasn’t been involved in many trade rumors over the years, and has a no movement clause. The 38-year-old has fans around the league who want to see him finally win the Stanley Cup but he has never wanted to leave the Coyotes. With a year remaining on his contact after this season, it doesn’t seem likely for him to finally be traded and that is disappointing to yours truly and many other fans. He would look great on a team like Boston, San Jose and others for the stretch run.